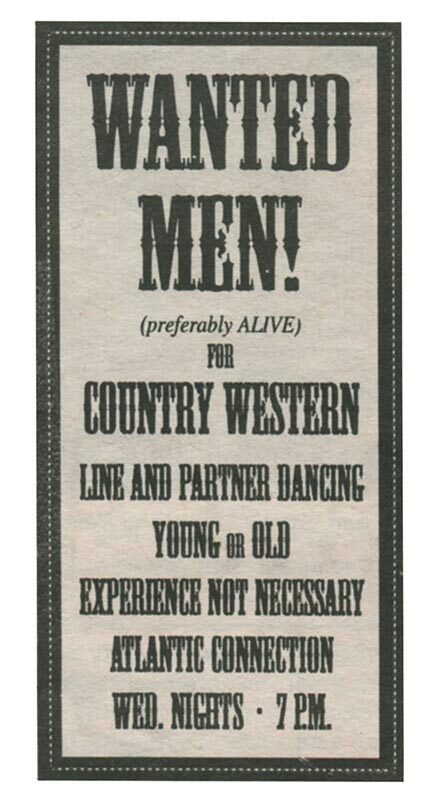 Some businesses long gone, and prices too! Campbell Douglas Harness and Feed store at Rainbow Farm was closed and sold in 2009. Today we know the site as the Grey Barn and Farm. – MV Times file photo, 1996. 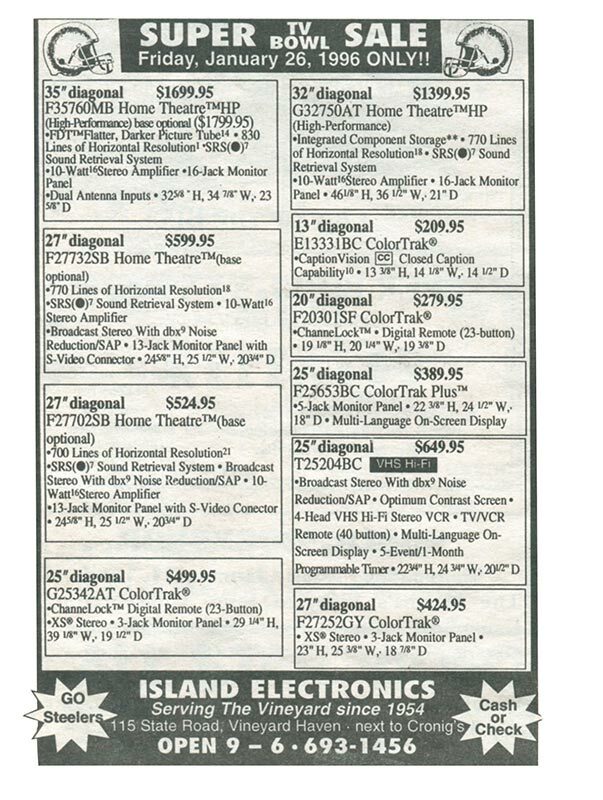 Island Electronics advertised televisions for the Big Game, including a 35" tube television for $1699.95. – MV Times file photo, 1996. Popular items at Vineyard Electronics in 1996 included landline phones and portable CD players. The company opened in 1981. – MV Times file photo, 1996. 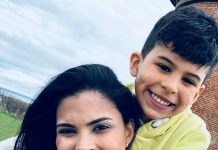 The Internet Access Company was one of the first companies to begin providing internet service to Islanders in 1995. – MV Times file photo, 1996. 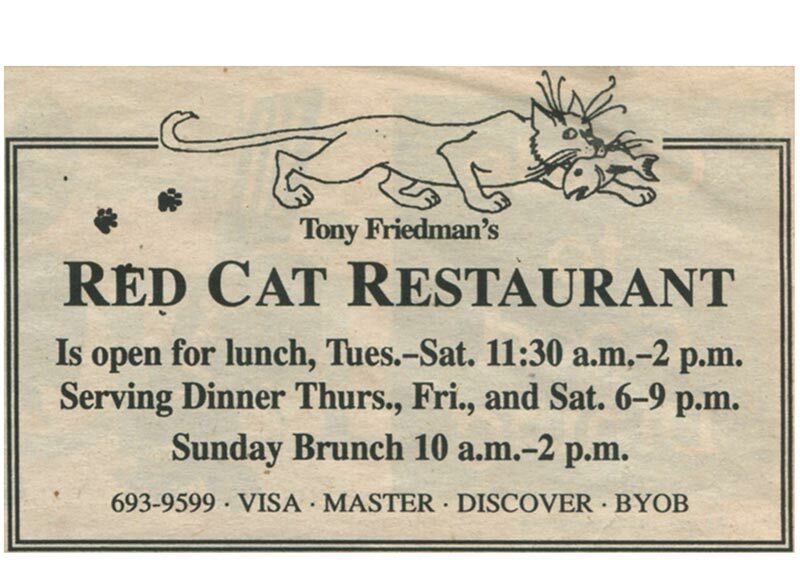 The original location of the Red Cat Restaurant, 688 State Road in West Tisbury, is now the site of State Road restaurant. Chef Ben deForest's Red Cat Kitchen is now located at the bottom of Kennebec Ave. in Oak Bluffs. – MV Times file photo, 1996. 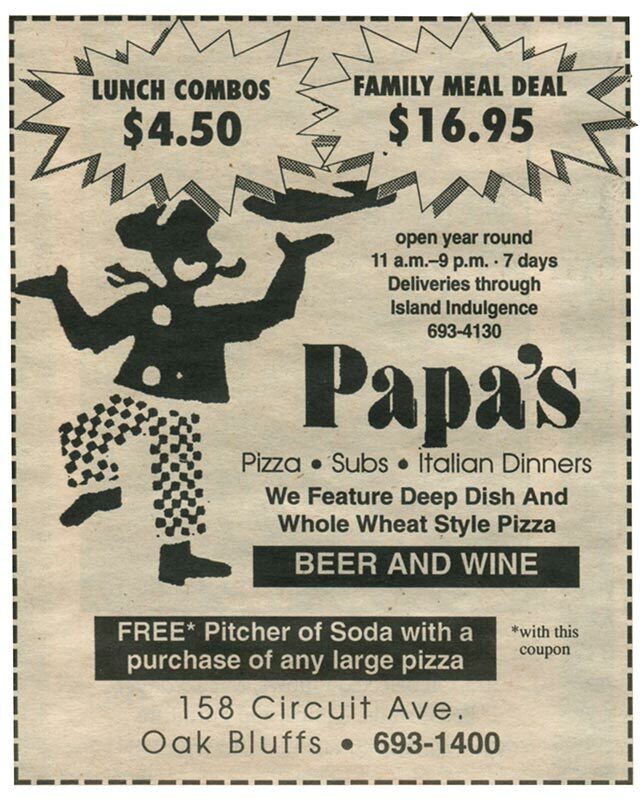 Papa’s Pizza in Oak Bluffs, a popular pizza spot from 1978 to 2001, advertised some serious meal deals. – MV Times file photo, 1996. Bramhall & Dunn home store on Main Street, Vineyard Haven closed in 2011 after 28 years in business. – MV Times file photo, 1996. 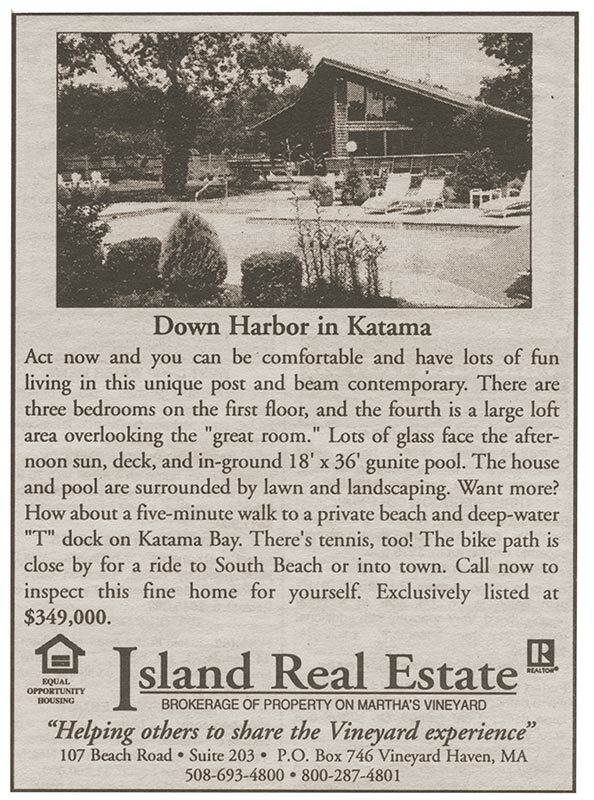 Island Real Estate (in business since 1991) advertised a Katama dream home for $349,000. – MV Times file photo, 1996. 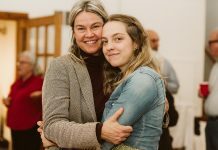 The Capawock Theatre in Vineyard Haven originally opened in 1913, and was reopened in 2015 after being shuttered for several years. In 1996 the theater advertised "Mr. Holland's Opus" which won Richard Dreyfuss an Oscar as Best Actor. – MV Times file photo, 1996. 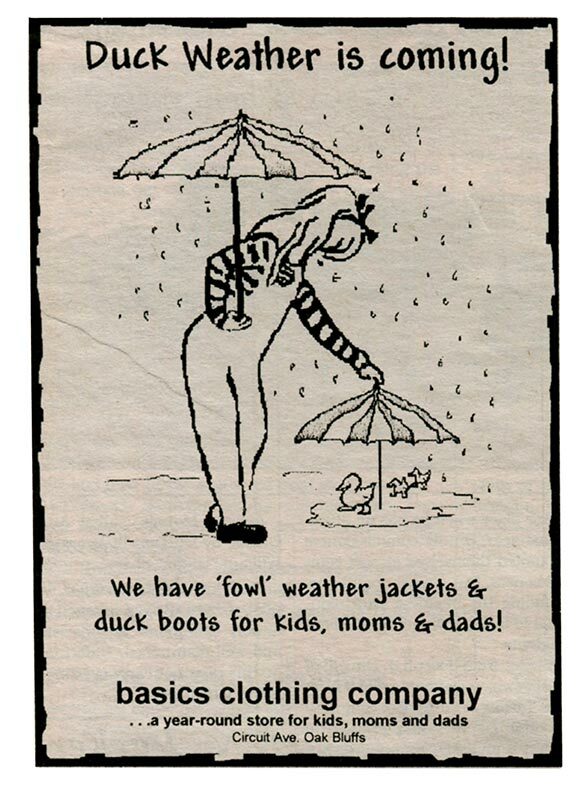 Basics Clothing Company in Oak Bluffs still offers gear for Islanders year-round. – MV Times file photo, 1996. 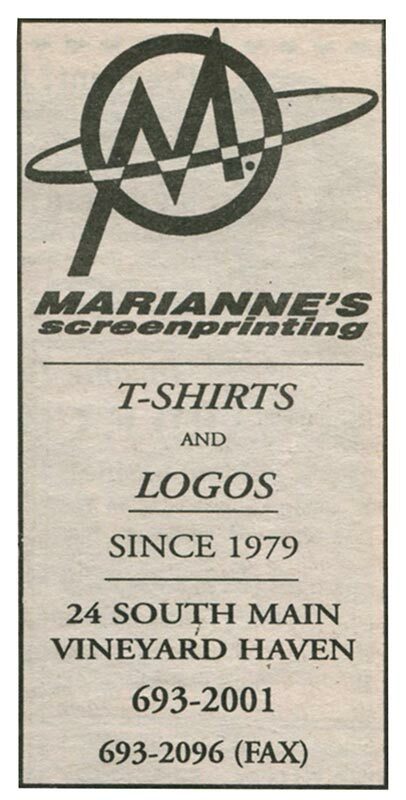 Artist Marianne Neill operated Marianne's Screen Printing for 23 years. – MV Times file photo, 1996. 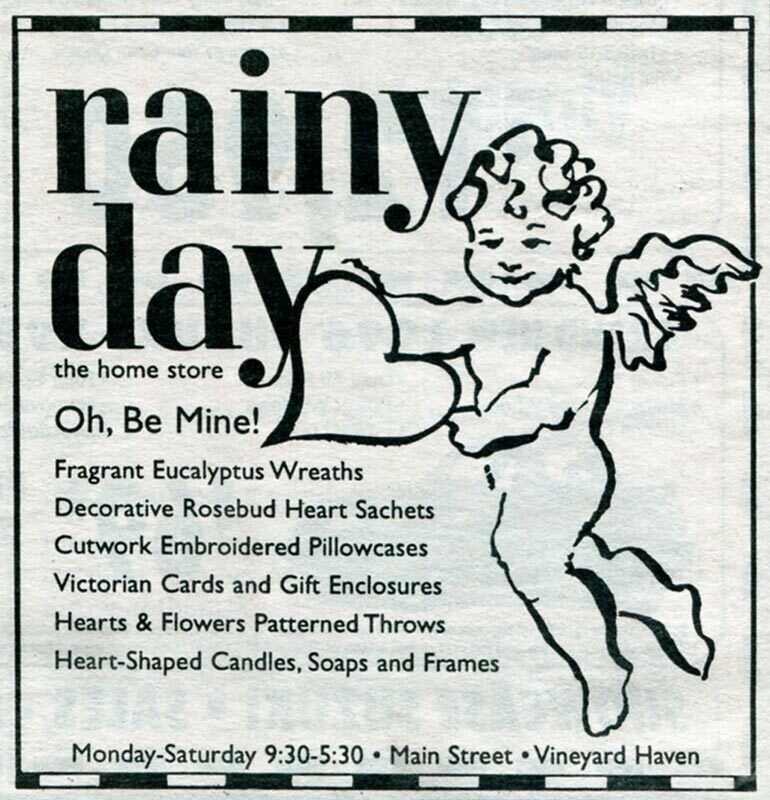 Rainy Day has been selling gifts on Main Street in Vineyard Haven since 1973. – MV Times file photo, 1996. The popular Oak Bluffs nightclub the Atlantic Connection, or "the AC," closed its doors in 2006. – MV Times file photo, 1996. 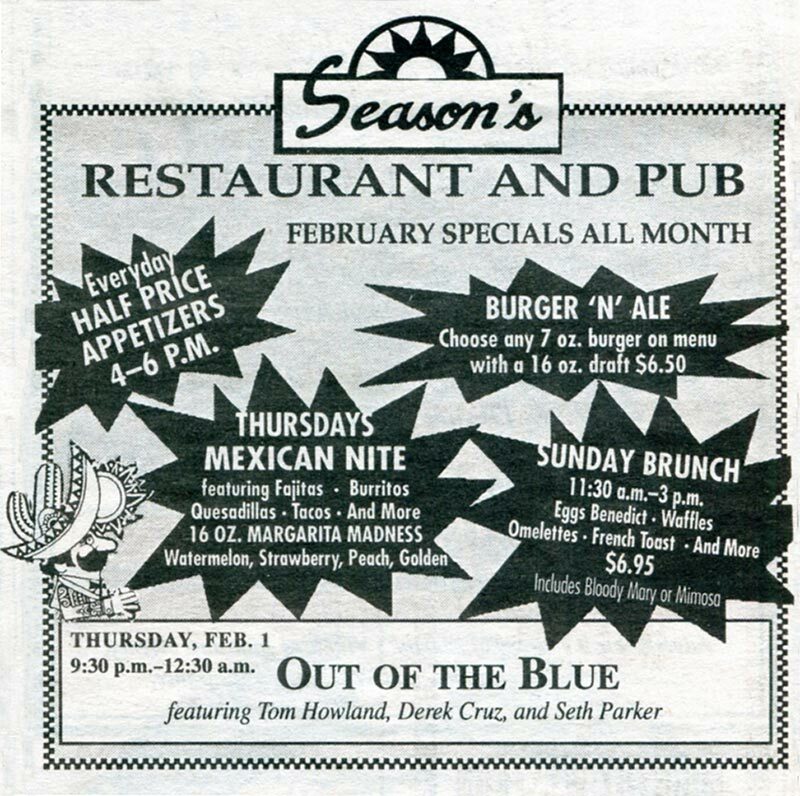 Season's Restaurant and Pub in Oak Bluffs, a year-round Circuit Avenue mainstay for more than two decades, closed in 2013. – MV Times file photo, 1996. 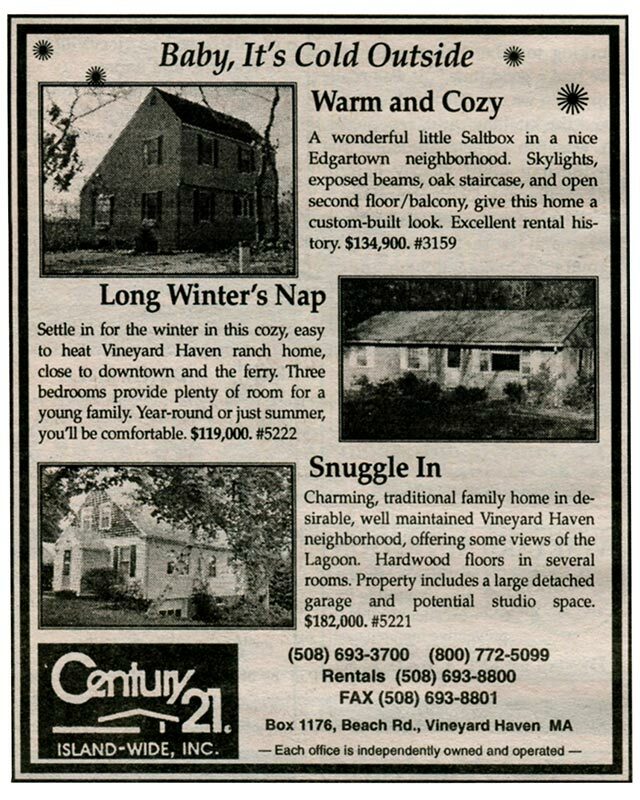 Century 21 advertised three desirable homes, all listed for less than $200,000. – MV Times file photo, 1996. 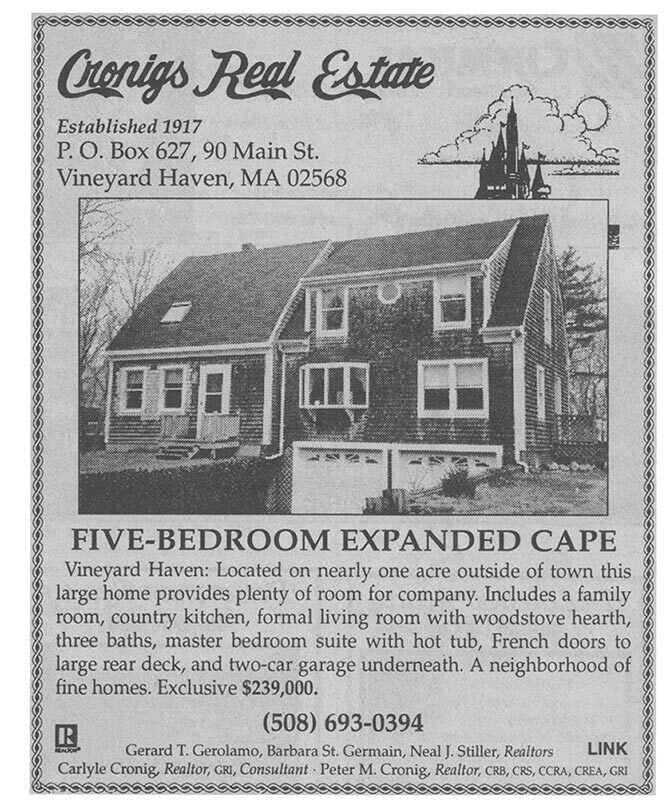 Cronigs Real Estate advertised a five-bedroom home for a deal at $239,000. – MV Times file photo, 1996. 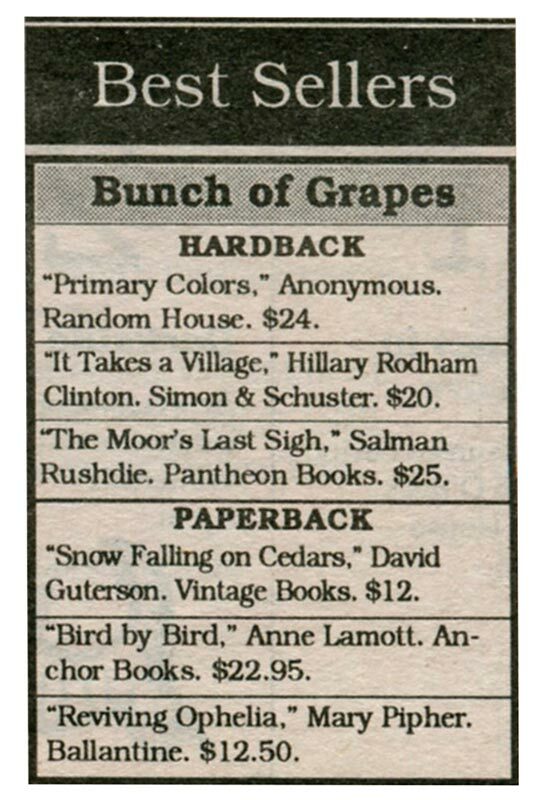 Bunch of Grapes in Vineyard Haven advertised its top selling books, including Hillary Clinton's "It Takes a Village." – MV Times file photo, 1996. 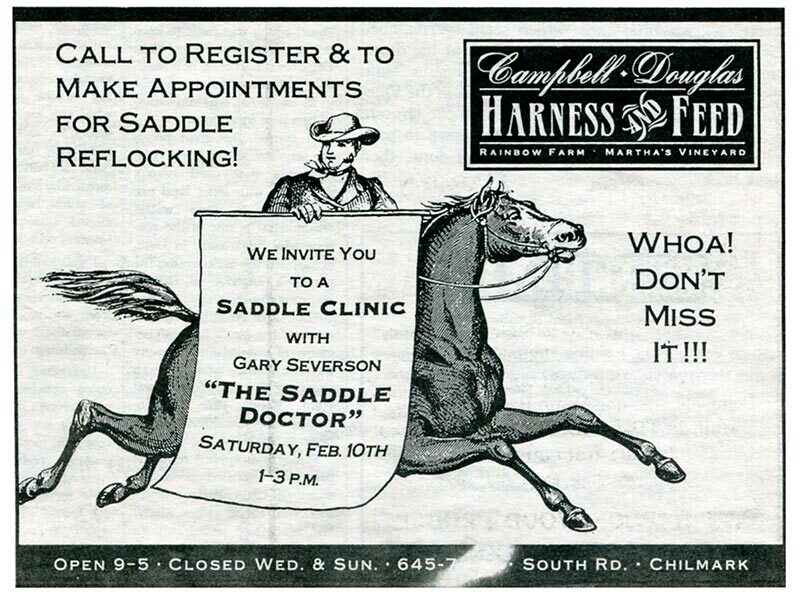 Sometimes it’s fun to go back in time and take a look at who was advertising in The Times, and what they were advertising. 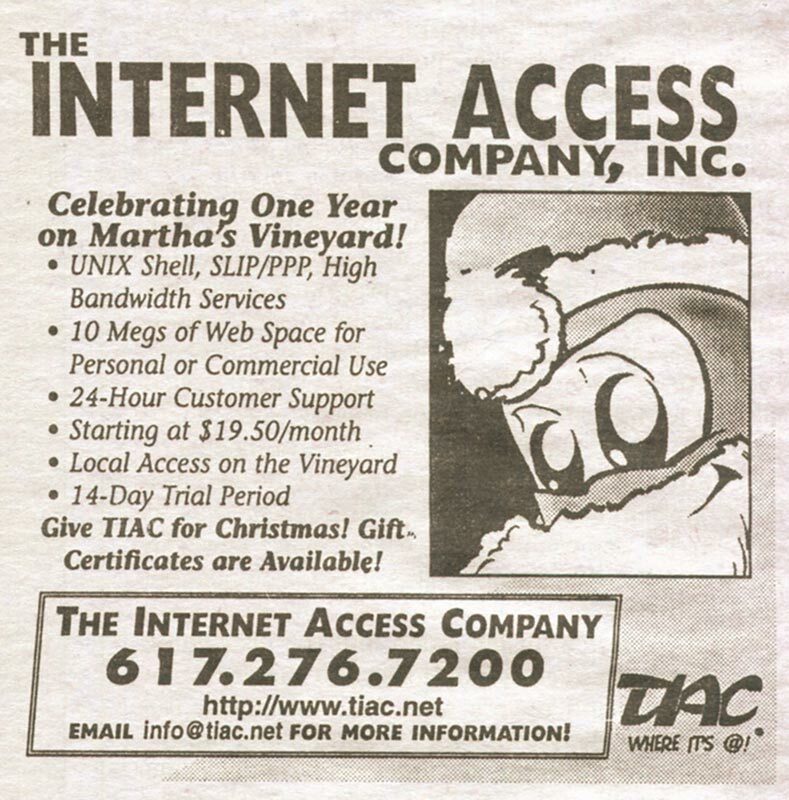 Twenty years ago we ran an ad to “See the internet live!” at a seminar at the Harbor View. 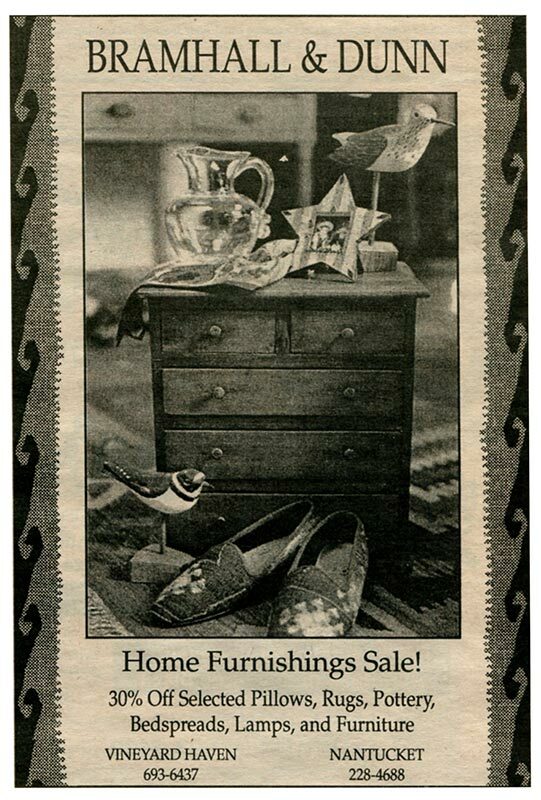 Century 21 was virtually giving away real estate, at least by today’s standards. And Shirley’s was “Still crazy after all these years!” Have any stories of doing business on the Island back in the old days? Let us know: onisland@mvtimes.com.